Tile roofing is an excellent choice for residential or commercial buildings. A tile roof provides unmatched beauty and increased curb appeal and they will last as much as four times longer than traditional composition. But there are things that should be considered before you commit to a installing a tile roof. Not every climate is right for tile roofs. The material that tile roofs are made out of are subject to moisture because of their porous nature. This means the tiles are more absorbent allowing for a possibility of mold and mildew buildup. This means if the climate where you live is regularly wet or excessively humid you should speak with a tile roof expert about your tile roof options to ensure you get the right material. Places such as Utah provides excellent climates for tile roofs. Tile roofing will require very careful maintenance. If you plan to do your own roof maintenance you need to be aware that tiles are subject to cracking if you walk on them wrong. It is suggested that you have a professional tile roofer complete any maintenance. If this is unavoidable lay down a foam and plywood pathway to walk on and be sure it avoids the more fragile edge and corner tiles. One of the most important thing that you need to be aware of is the quality of the tile roofing that you�re purchasing. Because tile roofs are so popular there is a large demand for tiles which is causes a flood or low quality tiles. Make sure you purchase your tiles from an professional tile roof supplier. For high quality tile roof materials in Utah contact ProTech Roofing. 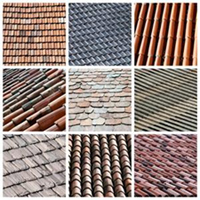 The sell materials and conduct professional tile roof installation in Utah and South Idaho. Call ProTech Roofing at (801) 691-7720 find out how a tile roof will benefit your home today!